A guide to the engine that made Chevrolet The Number One Team. 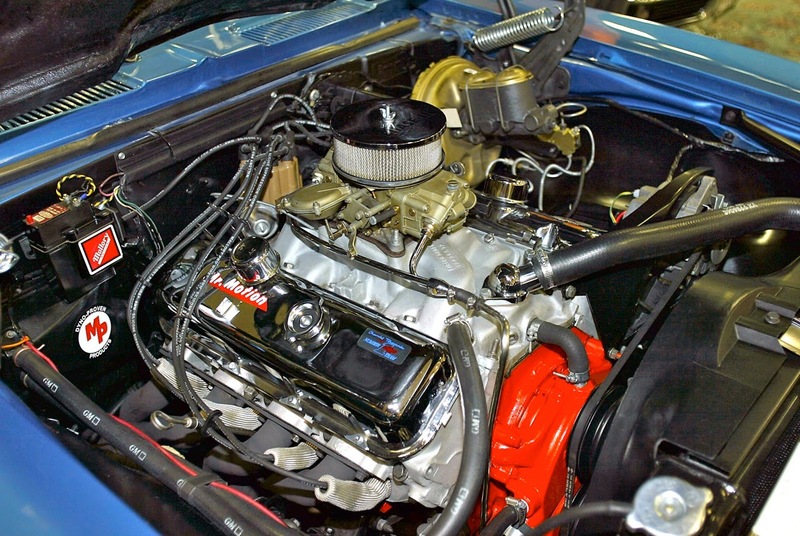 Between 1965 and 1976, Chevrolet’s iconic big-block distinguished itself in all forms of racing, and on the street in Corvettes, Camaros, Chevelles, Novas and full-size Chevys. Big-blocks started out with cast-iron blocks and heads, progressed to cast-iron block with aluminum heads (L-88) and peaked with aluminum block and heads (ZL-1). 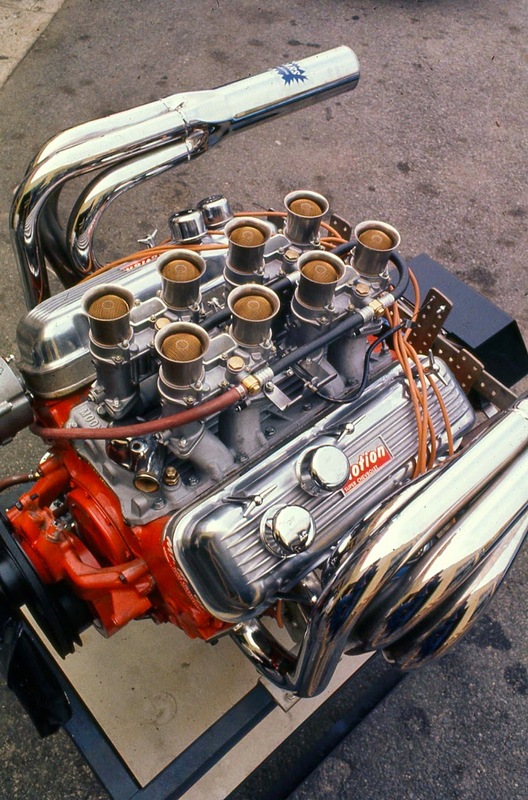 L-88 aluminum-head 427 engine, top, in ’68 Baldwin-Motion Camaro. 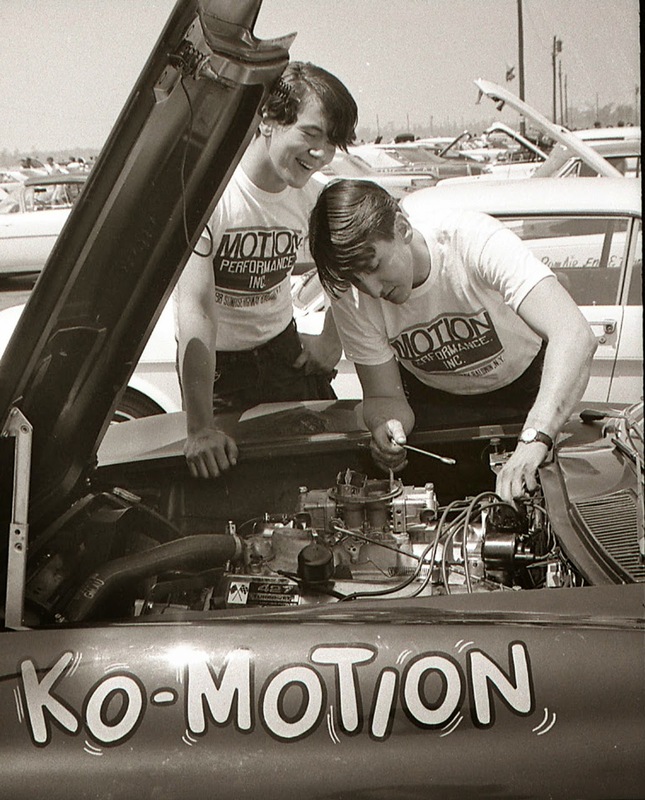 Joel Rosen, left, tunes L-88 in Motion-built KO-MOTION ’67 Corvette while owner, the late “Astoria Chas” Snyder, looks on. Sting Ray set AHRA National Record. Motion-built Marine big-block with four Weber 48IDA with dry-stack headers, right.